Welcome back to the Bangkok Travelbug, our monthly e-zine. This month we are taking a trip to Pa Mok, a district in Ang Thong Province. The town of Pa Mok is about 100 km north of Bangkok and about 23 km north of Ayutthaya City. 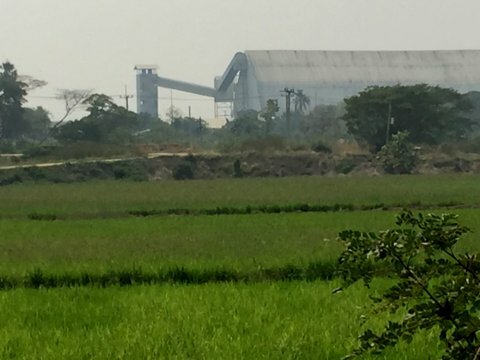 Pa Mok is a very rural district consisting of extensive rice fields, rice mills and rice factories. 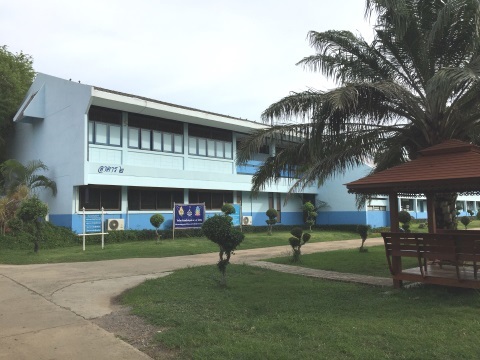 It’s also home to the Wat Sa Kaeo Orphanage which we will be visiting. Wat Sa Kaeo is an old temple built in 1699 during the Ayutthaya period. 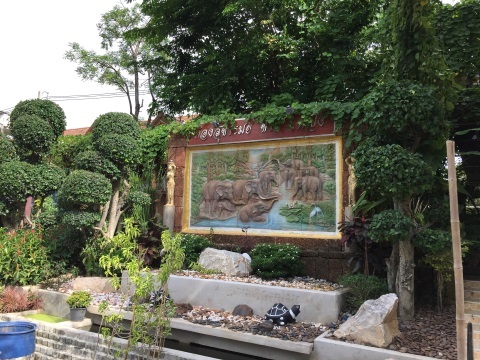 The temple was originally called Wat Sa Kae until 1952 when the name was changed to Wat Sa Kaeo. In 1942 an abbot took in about 10 children who were orphans or from very poor families, to feed and educate them. 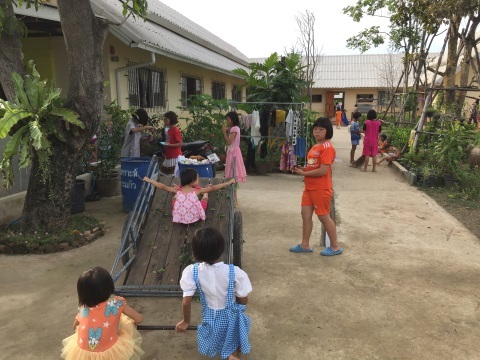 This was the humble start of the Wat Sa Kaeo Orphanage. The abbot had a difficult time as those years were during World War II when the country faced deprivations and few people offered any help. 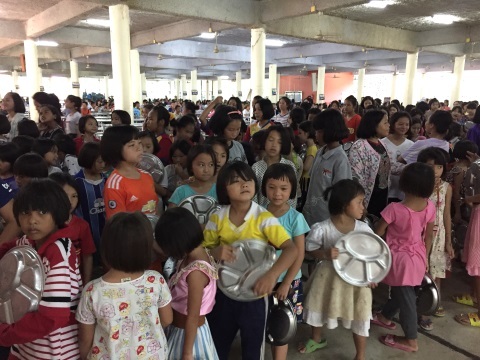 But he persevered and today the Wat Sa Kaeo Orphanage has 2,300 children, both boys and girls with ages ranging from 2 – 18 years. 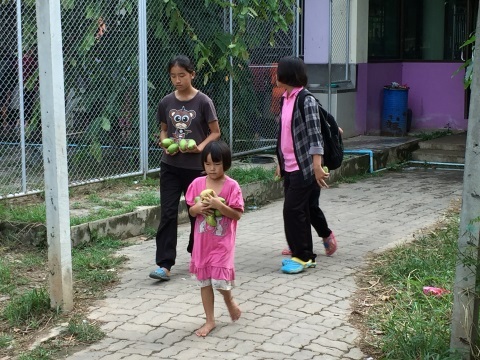 The children consist of orphans as well as children from very poor families or disadvantaged for various reasons. About 70% of the children are from the hill tribes, most of whom would be stateless, the rest are Thai citizens. We were fortunate to meet the current abbot of Wat Sa Kaeo and the administrator of the Wat Sa Kaeo School, Dr Phra Maha Phairoh Thitsilo, 66 who has been in this position for the last nine years. The abbot gave us a briefing on the orphanage and its operations. 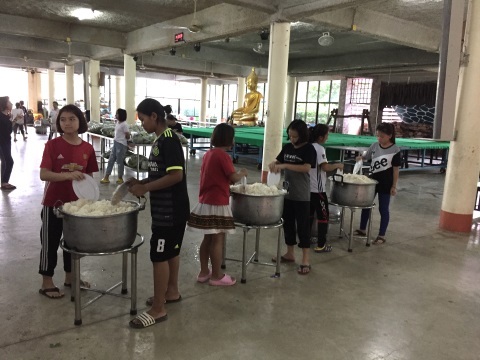 With the abbot’s permission, we toured the temple area and had the opportunity of visiting the dining hall while the children were having dinner, which is served at 5:00 pm. 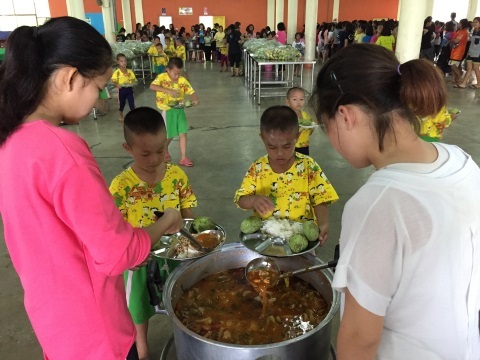 The children are given three meals a day. Here’s an idea of the food consumption rates; the children consume 10 bags of rice per day, each bag containing 50 kg of rice, that’s 500 kg or 1,102 lbs, about half a ton! 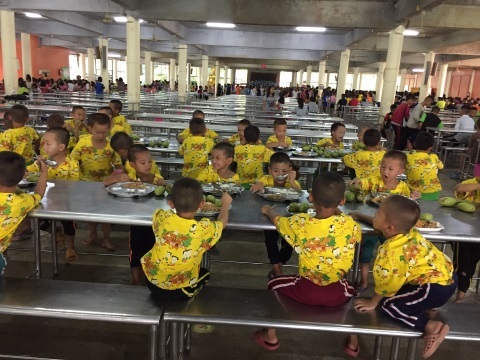 Dish detergent – the children eat out of metal compartmentalised trays and more than 2,000 of these trays need to be washed three times a day! Sports equipment and sportswear like canvas shoes, footballs, takraw and badminton. 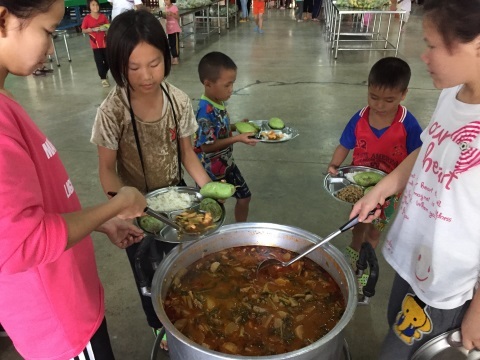 The monthly operating expenses for the orphanage amount to about 1 million baht or about US$30,000. 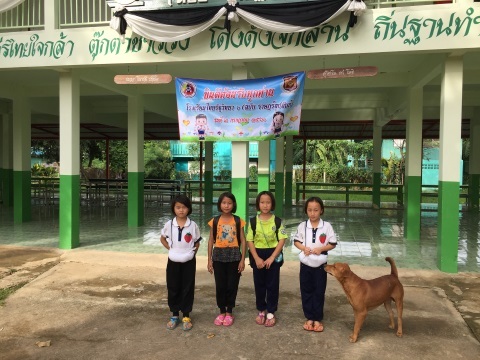 Temples in Thailand usually have a school in its vicinity that is named after the temple. This is an old tradition going back to the time when temples were the centres of learning and before government and private schools were developed. 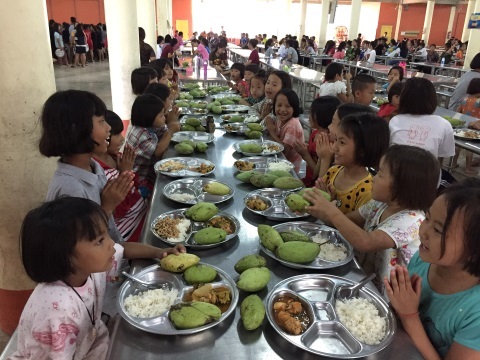 Wat Sa Kaeo has got three schools in its vicinity catering for the orphans at various level of education. 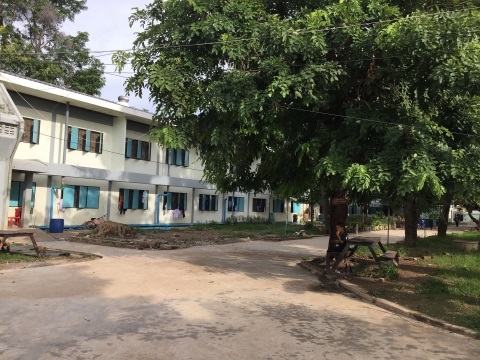 There are 130 teachers for these three schools, with 2,300 children in the orphanage, that’s about 17 students to a teacher. Some of the teachers are from China, India and the Philippines. The rest are Thai. The teachers and staff of the first two schools are paid by the state. 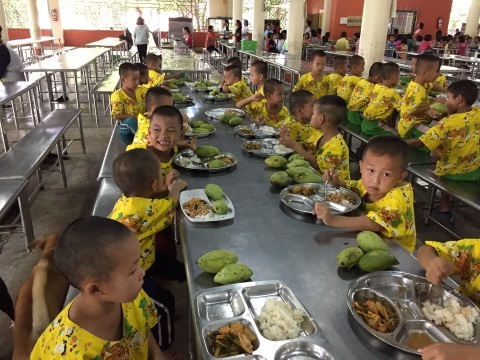 The teachers and staff of the Wat Sa Kaeo School are paid by the foundation for the orphanage. The latter are paid a monthly salary of 15,000 baht (approx. US$450) with no increments or bonuses. 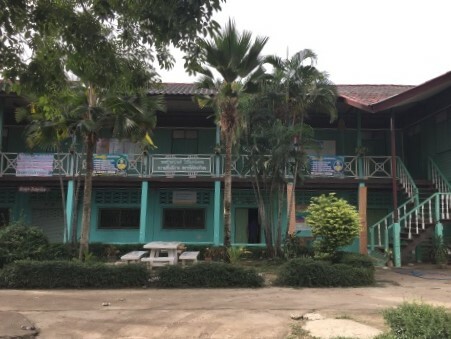 One of the main buildings in the Wat Sa Kaeo School is sponsored by the Chairman of Charoen Pokphand, an agro-industrial and food conglomerate. 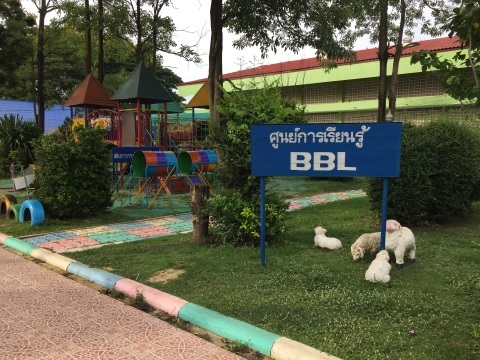 The kindergarten and playground in the Wat Sa Kaeo School are sponsored by Bangkok Bank and MK Restaurants. With the help of generous sponsors, some of the more promising students have made it to study overseas; two in China, three in India and two in the USA. 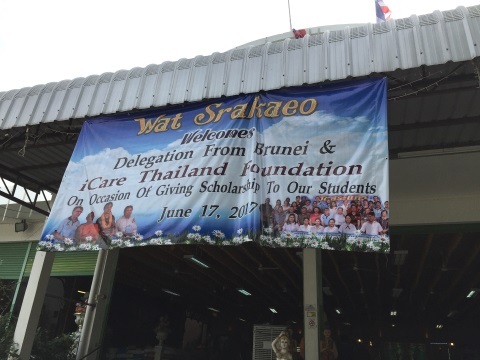 A month before our visit a delegation from Brunei visited Wat Sa Kaeo, together with iCare Thailand Foundation, to present scholarships to some of the students. The Boys’ Hostel is just across the road from the main entrance to the temple. 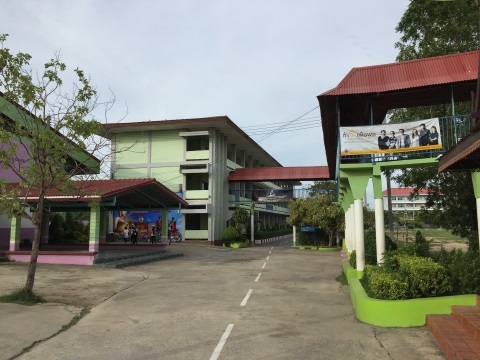 The Girls Hostel is located near the Wat Sa Kaeo School. As it was a weekend, the children were left very much on their own. They were free to wander around the premises and play among their friends after dinner. We had difficulties locating the Thai Rath Withaya 6 School and asked this group of girls on their way back from dinner to show us the way. They did and sportingly agreed to have their photos taken too. 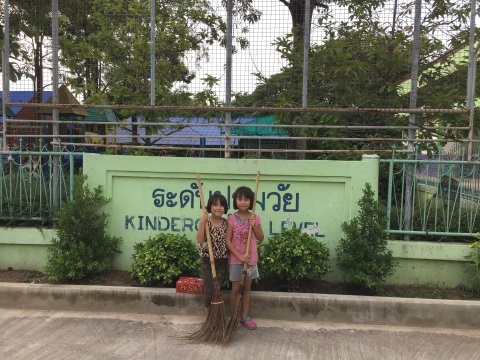 On our way out, we came across these two girls who were helping to keep the place clean. How can we help? 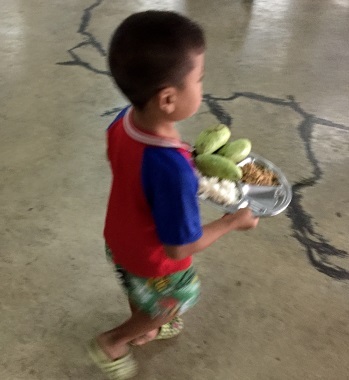 Next time we want to take a day trip out of Bangkok, visit the Wat Sa Kaeo Orphanage and the children instead. Our visits would mean something for the children. All donations are welcome, in cash or kind, both large or small. 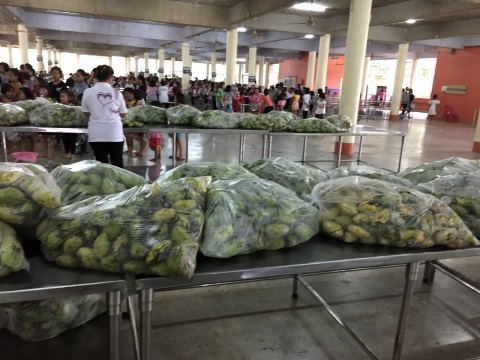 Donations can be made at the multi-purpose hall. Our efforts will be very much appreciated. "May those who find themselves in trackless, fearful wilderness – the children, the aged, the unprotected – be guarded by beneficent celestials, and may they swiftly attain Buddhahood." "What we do to our children is done to society." 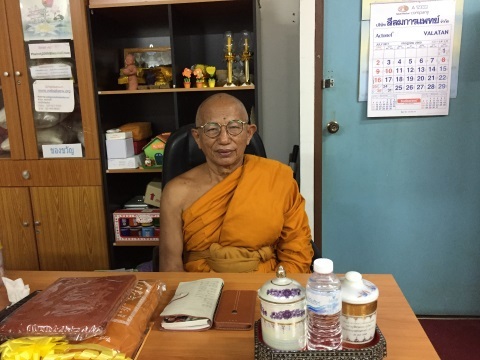 Our thanks to Dr. Phra Maha Phairoh Thitsilo, the abbot of Wat Sa Kaeo for providing information on the orphanage and his kind permission for us to take a tour around the temple and orphanage. Take the Don Muang Toll Way out of Bangkok – join Highway 1 – Highway 32 past Ayutthaya – Highway 329 to Pa Mok – at Pa Mok junction turn left to Highway 309 that leads all the way to Wat Sa Kaeo.